He does love his union jack flag! So cute!! Go Team GB!! 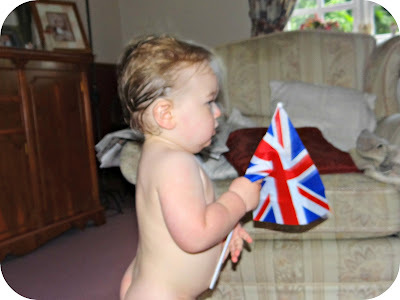 Go team GB, you have even the youngest on your side! I thought team Gb had wings for a moment! Ahh that is so cute!